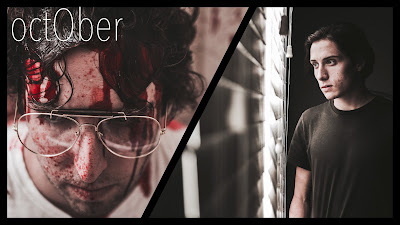 octOber is a terrifying short horror film that gives a new reason to fear the month that Halloween built. It's actually a breathtaking sequel to Dark Red's septeMber, which was released a few months back (NEWS HERE). Jeff Payne, Mason McDonald, Tabitha McDonald, and Dustin Miller are the creators of septeMber and octOber, which is only the beginning of a series of short films that will scare the life out of you, month by month by month. They also made the fan film, Michael Myers versus Jason Voorhees, that pays and incredible homage to the characters of HALLOWEEN and FRIDAY THE 13TH. Be sure to check out the links below which include their website, social media links and a link to the short film octOber.